Dry-cured duck prosciutto, made with magret from Moulard ducks raised humanely with no antibiotics or hormones. This ready-to-eat prosciutto is perfect when sliced for a charcuterie or cheese board. It can also be cubed and added to beans, pasta, and stew. 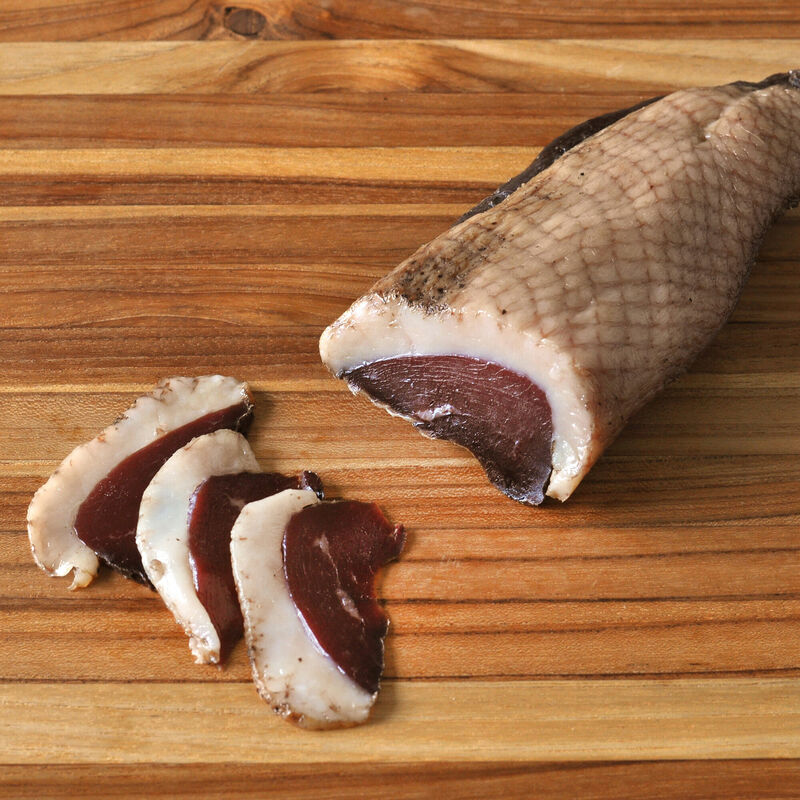 Serving Tips: Duck prosciutto makes an excellent addition to any charcuterie board or cheese plate. Using a sharp slicing knife, slice the prosciutto paper-thin, against the grain. If you cut at a 45 degree angle, you’ll more surface area. The slices are also delicious wrapped around summer produce like melon or stone-fruits. The end pieces and remnants can be cubed and added to the cooking liquid for dried beans or soup base.